Hope someone can help with a sound/hifi/wifi type issue! Hi all, so basically I have an old "hifi" system that I got before bluetooth, wifi and digital was all the rage (it has a dual cassette player..) but it is still a beast of a music machine. So, I wondered if there was something that I could plug into the line in port, that would allow it to pick up music sent from a similar line out device off the PC? I dont know what to start searching for really, any help would be much appreciated. Does it have a Phono line in jack? (The red and white jacks) These were common on these Older Hifi systems, Or if it doesnt have one has it at least got a 3.5mm jack input. Either of these will do, it will then mean all you will need to do is to get the 3.5mm male jack to either male 3.5mm jack or a 3.5male jack to a Male phono jack then its a simple case of plugging in the 3.5mm jack into the audio slot on your PC (would be a green hole located on the back of your tower) and the other end into the Hifi system, there is normally a setting which allows you to select the input. and boom you should be done. Some photos that may help you understand what I mean. This is a 3.5mm Male jack to 3.5mm male Jack. 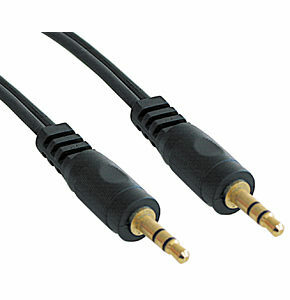 These are the two most common types of connectors that you will find on Hifi systems, You may have one that has a 1/4" jack, but you can just get a little converter for that. Thanks for the info yeah it is a 3.5 male jack, I was wondering (didnt make it clear in my original post, so I apologise) but the hifi is on the opposite side of the room to my pc, and I dont want a cable trailing across the floor/ ceiling. Is there a way/ object/ dongle to make it "wireless"? Can you not run it under the carpet / rug? Thats what i do with my surround sound wires. I run mine via cableing alone my skiring bored. Nothing is wireless in my house. Running cables, to put it simple is better as its cheaper, more reliable, and no matter how good wireless technology is, it will never be as good as wired. But you can get a 3.5mm to 3.5mm wireless transmitter. Musicians use them all the time during live shows to hook their guitars to their amps. 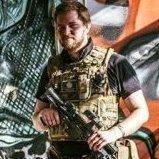 looking at about £40 for a decent system that has good signal strenth. although knowing ebay you could most prob find one from Hong kong for only £10. Im with you on that one, i dread the day that i move out, I have enough cabling hidden aeround the place to wire up a 747. When i first moved in (Bear in mine i live on the 10th floor) I used to run a 100ft eithernet cable over my balcony to my mates apartment 4 floors down, had to use a RC chopper to get the cable over to his balcony, but was worth it. Couldn't you have just lowered it from whichever apartment was higher? Haha. it wasnt that simple because his was lower and aroun dthe corner..
Must've taken some serious RC chopper piloting skills. I expect the hifi can receive radio so all you do is find an open frequency and link the two up. Don't know how expensive this is but you may be able to find a cheaper card or something somewhere. Thanks alex, thats an interesting idea, ill look into it. Cheers.